Welcome to Honda of New Rochelle, the #1 Volume Auto dealer for the Bronx and Westchester (based on American Honda Volume New Car Sales for 2018). 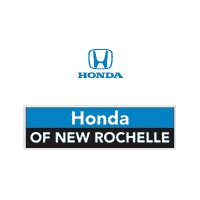 Since Honda of New Rochelle opened its doors in November 2002, our commitment to customer satisfaction has led to a very loyal customer base, which in turn has helped us achieve and maintain our number one status. Our Service and Parts Departments are proud multiple time winners of Honda’s Prestigious Customer Service Experience Award, and continue to be a key factor in our growing success. We take pride in servicing our customers before, during and after the sale. Your time and loyalty are valuable to us, therefore Honda of New Rochelle is committed to a no pressure, high integrity sales approach that will leave you completely satisfied. Our staff is dedicated to making sure your experience is first class. Based on American Honda Volume New Car Sales for the Bronx and Westchester. Based on American Honda Volume Used Car Sales for the Bronx, Westchester, and Connecticut.